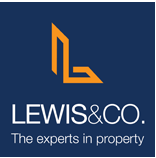 Lewis Property consultants are independent estate agents in St Austell, selling, letting and managing properties throughout the mid-Cornwall area. With over 25 years experience of the property market in mid-Cornwall, we aim to take the strain out of the moving process whether you’re looking to sell, let, buy or rent. We also offer surveys, EPC’s, and other related services. So, whatever your property needs,contact Lewis Property Consultants and relax.